I have not seen ABC’s morning show GMA Day and it looks like I never will. 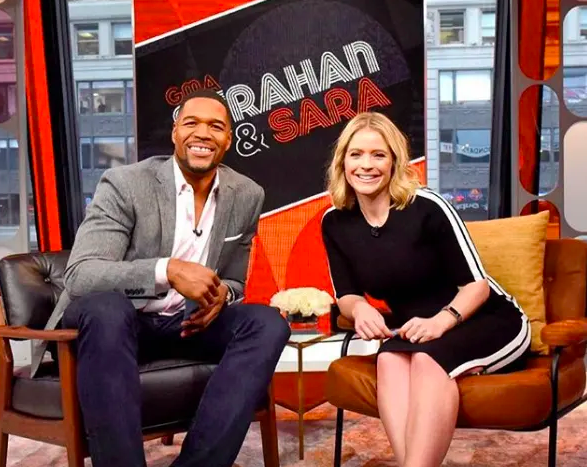 The alphabet network has rebranded the show and it is now called Strahan & Sara (obviously ABC dose not spend much time working on show names). GMA Day was billed as a spin-off and new 3rd hour of flagship morning program Good Morning America (or GMA). GMA Day replaced food talker The Chew last year, following the firing of co-host Mario Batali over inappropriate behavior, and the departure of Daphne Oz. With GMA Day rechristened as Strahan & Sara, the logo kind of has a retro vibe to it. Set, music, and graphics changes were included. And it all happens just in time for the Feb. book.